St. Jude Children’s Research Hospital has launched St. Jude Cloud, a data-sharing and platform available to researchers around the world that that St. Jude is calling the world’s largest public repository of pediatric cancer genomics data. The repository was built in collaboration with DNAnexus and Microsoft, which provide researchers with data-mining, analysis, and visualization tools in a secure cloud-based environment. St. Jude Cloud contains more than 5,000 whole-genome, 5,000 whole-exome, and 1,200 RNA-seq datasets from more than 5,000 pediatric cancer patients and survivors. Data in the repository was generated from three separate genomic initiative including St. Jude Genomes for Kids clinical trial, an effort designed to incorporate whole-genome sequencing within the clinical setting; a longitudinal study called the St. Jude Lifetime cohort, which will gather comprehensive clinical data on thousands of pediatric cancer survivors over their lifetime; and the St. Jude–Washington University Pediatric Cancer Genome Project, designed to understand the genetic origins of childhood cancers. Data from all three efforts will continue to accrue such that by 2019, St. Jude expects to make 10,000 whole-genome sequences available on St. Jude Cloud. Researchers accessing data on the St. Jude Cloud platform can leverage the analytic tools within the cloud to query these data without the need for downloading and can upload their own data in a password-protected environment. 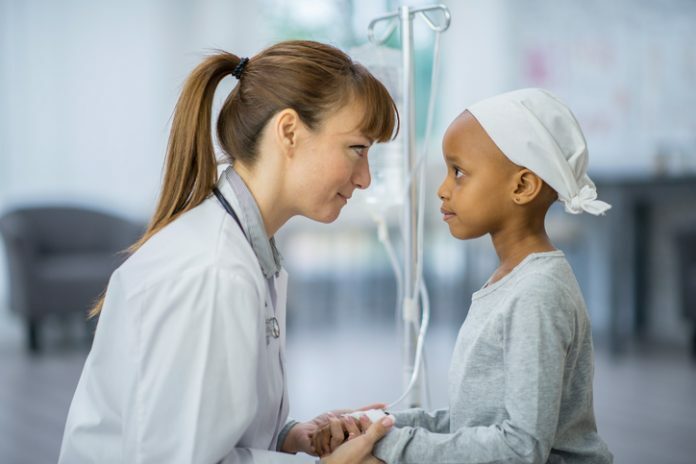 The intent is to allow researchers not only access to the rich pediatric cancer genomic data St. Jude Cloud provides, but to leverage the informatics tools it contains to compare their own data with an eye toward accelerating new discoveries. On such tool is a genomic visualization engine developed by St. Jude called ProteinPaint, which allows users to rapidly navigate through the genome and identify genetic changes linked to cancer development. DNAnexus provides the informatics and data management company for St. Jude Cloud. It leverages Microsoft Azure to provide an open, flexible, and secure cloud platform that supports the Microsoft Genomics service as well as other genomics analysis tools, providing a secure data-sharing and analysis platform.